Google is hoping to take advantage of in-game ads’ strong growth with its new AdSense for Games system, the company announced in a post on its blog. Citing comScore data, Google (NSDQ: GOOG) says over 25 percent of web users play online games every week, representing over 200 million global users. Google began offering the system on a limited basis back in November. It started off using pre-roll and mid-roll inserts with gaming startup Bunchball Games. With this wider beta test, AdSense for Games will let marketers place video ads, image ads, or text ads within developers’ games. 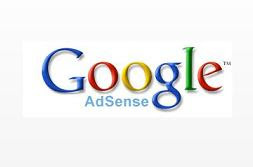 The system is based on technology from Adscape, which Google bought for $23 million in February 2007.The AdWords sales team will sell company’s in-game ad placements directly to advertisers. Google is also promising text and image ads that are targeted by demo and location. To be eligible for the program, publishers must have a minimum of 500,000 game plays and have 80 percent of their traffic from the U.S. or the U.K. Venturebeat notes that Google is concentrating on games that use Adobe Flash: free casual games which run within a web browser and require no downloading.